How long have you been blogging? I've been blogging for almost a year now, but seriously for about 6 months! 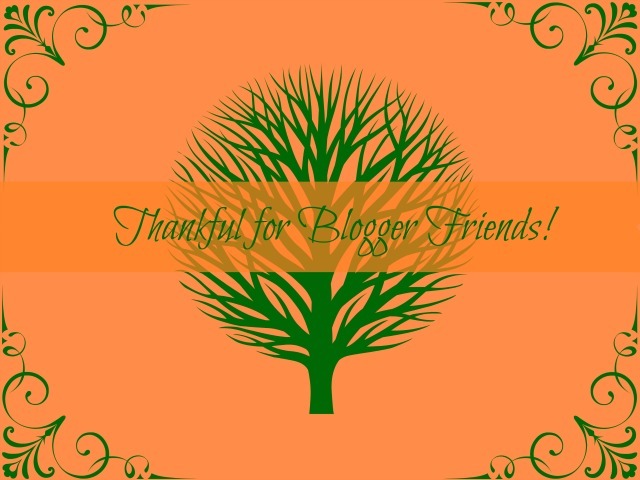 Are there any bloggers who helped you out/encouraged you when you first started your blog? Oh yes! Julie & Ashley from 20/30 Glam were the ones who really got me blogging seriously! I had been blogging for a while before I met them, but was close to just giving up. When I met them they encouraged me to continue and gave me tips to improve! What Social Media has given you the most traffic to your blog? Is there a platform that you don’t use? Twitter has become my best friend! I was being stubborn and didn't want to get used to Twitter, but once I did I really saw my numbers grow. Twitter really is a great platform to use. It's a great way to connect and the #bblogger chats are so helpful. I can't think of a platform that I don't use. How often do you post? Do you have a regular schedule? I try to post at least 1-3 times a week. Some weeks are really busy for me so I can't post a lot, but other weeks are light so I post more. I'm trying to get on a regular schedule soon though. I'm hoping to have some time one day to just write a bunch of posts so that I can start scheduling them. Where do you blog? Anywhere I can find space. Sometimes my room. Sometimes my office at work. Sometimes Starbucks. No consistent place. What camera do you use? What photo editing software do you use? I use my iPhone 4s a lot to take pics. For YouTube I use a Samsung camera but I'm not sure what kind it is. For photo editing I use Picmonkey.com and I sometimes attempt to use photo shop. How did you come up with your blog name? So my nickname is Neya and my middle initial is V. I always said that if I became an actor I would use Neya V as my stage name. I ended up using NeyaV as a username for different things so I decided to use it for my blog as well. I wanted the blog name to have something beauty related in it as well so that it could be easily recognized. I got beauty talk because beauty was an easy way to tell what the blog is about and because I love to talk! Do you do any regular “series” posts on your blog? No. I tried, but I kept forgetting to keep up with them. I do want to try again in the future! What draws you to a blog? Good writing. I don't like getting a headache from trying to figure out what's being said. I really like blogs with lots of photos! What turns you off of a blog? As I said in the last question I won't continue reading a blog that gives me headaches from trying to figure out what they're writing. I'm not saying that the spelling, grammar, and sentence structure has to be perfect. It just has to be readable. How many blogs do you subscribe to? Are they all beauty related? I honestly don't know. I know I follow at least 50. And yes they are all beauty related. When do you generally read blogs? Whenever I have time. Usually on my lunch break and throughout the day on the weekends. What is your favorite type of post, and why? I really like product reviews. It's a great way to find out about a product before purchasing it. I also love tags. 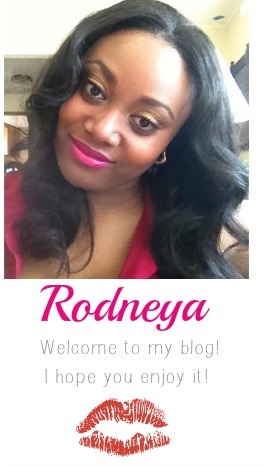 They're a great way to get to know the person behind the blog! What is your least favorite type of post, and why? I don’t have a least favorite type of post. I pretty much like all of them! Where do you live? Tell us a bit about your city! I live in Metro-Detroit in Michigan. There's not much to say. We're known for Motown and the auto industry. As well as our wonderful (read sarcastic) crime rate. What about your home? I live with my father-in-law and brother-in-law in a quiet neighborhood. Single or taken? I have been married for a year and a half! Do you have children? Not yet! Do you have pets? Hubby and I don't, but his dad has 2 dogs! Do you have a “day job”? Yep! I work at a retail store in the mall part-time and I work for a small business full-time. How tall are you? 5’5"
Do you have siblings? I am the oldest of 7. I have 5 sisters and 1 brother. 3 words to describe yourself. Shy, nice, and dedicated. Who is your style icon, and why? I don't have a style icon, but if I could raid anyone's closet it would be Beyonce's! 3 favorite bands/musicians. You're gonna think I'm weird now! I love Beyonce, Demi Lovato, and Miley Cyrus! 3 random/weird facts about you. I was born with an extra finger (it didn't grow though so you don't really notice it), I have seen every episode of Hannah Montana, I love grapes but hate anything grape flavored and/or scented. Enter my giveaway for your chance to win a Naked Basics palette!